You'd be surprised how many people can afford a Rolls-Royce. Because if you have the money for a new compact car, then you can get a car with a Spirit of Ecstasy radiator mascot for about the same amount. And this won't be some salvage restoration project – we're talking about a fully functional Silver Shadow. The Brits launched this successful model in the 1960s, when the world was changing from the ground up. Rock & Roll, Hollywood, and Wall Street gave birth to the nouveau riche in such numbers that even very expensive luxury car makers felt it. 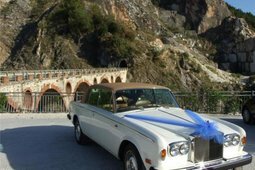 Rolls-Royce, which until then had been a means of transport reserved for high society, suddenly realised that their circle of potential customers had vastly expanded. And they were perfectly prepared for it. 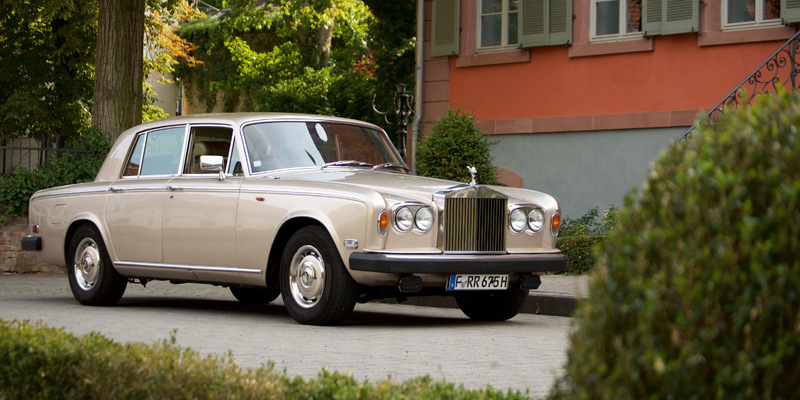 In 1965, they put a car on the market that was outwardly an evolution of Rolls-Royce style, but in terms of design was a true revolution for the brand. The thing was that until then, Rolls-Royce had made all of its models on the principle of carriage production – they produced the frame, chassis and engine themselves, and the customer ordered the body separately. Yes, in the long run, these bodies became increasingly unified, but in order to produce cars in larger quantities, this method of production was not very appropriate. So the logical step was to produce a unibody car. 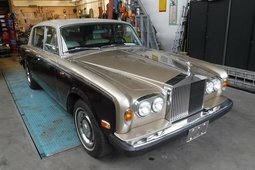 Thanks to this and other innovations, the new Silver Shadow turned out to be a car that was lighter, faster and handled better than any Rolls-Royce produced before it. True, they almost made a fatal mistake when they initially planned to call the model "Silver Mist". Just imagine how the Germans would have reacted to a name like that, when the word "mist" means no other than "manure" in their language. 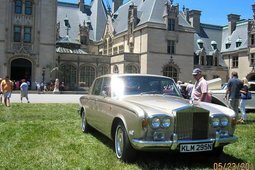 Hence, the name was changed to "Silver Shadow". 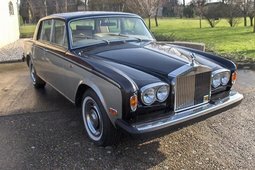 The new Rolls-Royce had the same 6230 cc V8 engine that was used for the Phantom V since 1959, and the manufacturer never advertised how much power it had, simply declaring that it was "sufficient". And it was, according to the standards of the time, with about 200 hp; needless to say, the engine was only configured with a 3-speed or 4-speed automatic gearbox. In 1970, the engine was upgraded to 6750 cc – or, as the British so nicely put it, "six and three quarter litres" – and had about 220 hp. Incidentally, a highly modified form of this engine is still being used in Bentleys today. But it wasn't the engine that was the car's most unique feature – the Silver Shadow had a high-pressure hydraulic system licensed from Citroën that was responsible for braking and the self-levelling suspension. Sure, many of us have heard about what to expect when the system breaks, but when it's running smoothly, the driving comfort is unmatched. Not to mention the signature Rolls interior with walnut wood finish and the best upholstery around. There was also a long-wheelbase version, as well as a two-door coupé and two-door convertible that got their own name in 1971 – the Corniche, which, incidentally, was in production until 1995. 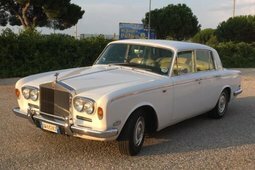 There was also the Silver Shadow-based two-door Camargue which was perhaps the most expensive car in the world, with only 534 being produced from 1975 to 1986. 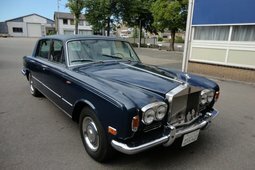 The Silver Shadow family broke all Rolls-Royce sales records, with them managing to sell at least 2,000 units every year; all body styles included (along with Bentley, which was then a Rolls-Royce clone), some 40,000 were produced by 1980 in total. No Rolls model has beaten this number since. And this number was simply too large for all of the cars to be properly maintained. Many members of the nouveau riche replaced their cars frequently, so in time, the Spirit of Ecstasy accompanied all sorts of characters, including representatives of the criminal world. It was these poorly maintained cars that created the Shadow's reputation as a capricious car, and when enough of these used cars appeared on the market, prices fell drastically. 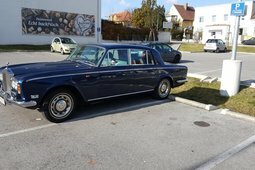 Therefore, if you decide to make a Silver Shadow a part of your life, choose your purchase carefully, since even when bought for a laughable price, some cars can be a very poor choice. But for EUR 15,000, you can definitely buy a good one with a history. And after all, EUR 15,000 is about what it would cost to order a gold-plated Spirit of Ecstasy for the new Rolls-Royce Phantom. A running Silver Shadow for the price of a bonnet ornament for the new Phantom sounds like a pretty good deal. It’s a good time to be a petrolhead.